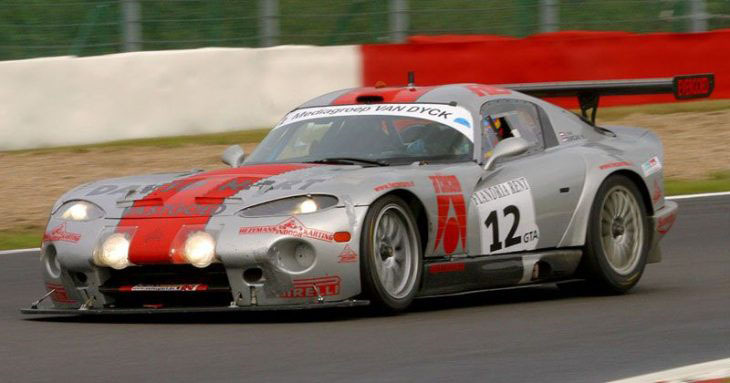 There have been remarkably few significant V10 engined racing GT cars down through the years. 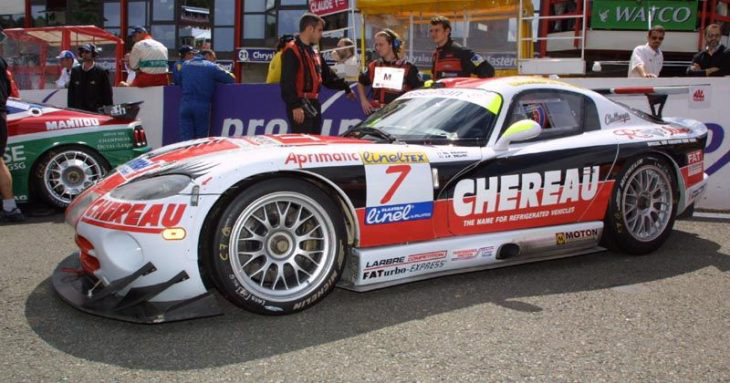 Porsche’s epic road going Carrera GT was based around an engine that was meant to race for the win at Le Mans, The Lexus LFA has class winning form at the Nurburgring 24 Hours, but elsewhere was short on racing legend, in more recent years the 5 litre V10 produced by Audi has powered multiple iterations of Audi and Lamborghini GT and one-make racers to no little success. 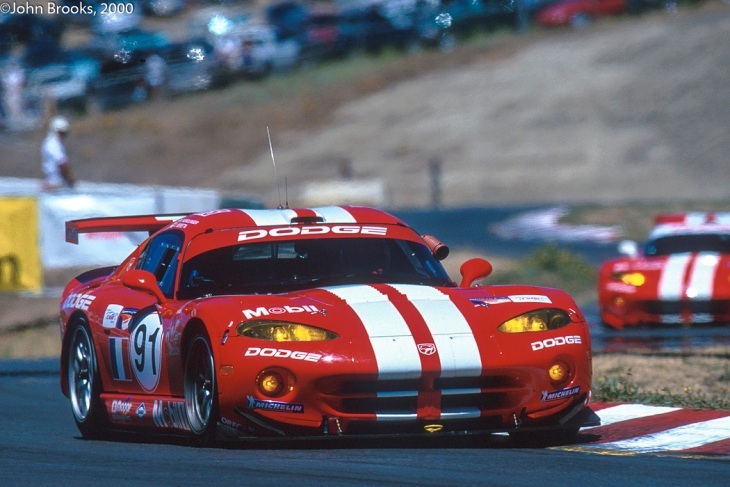 All of the above though would surely agree that the daddy of them all is, or rather now WAS, the Viper! 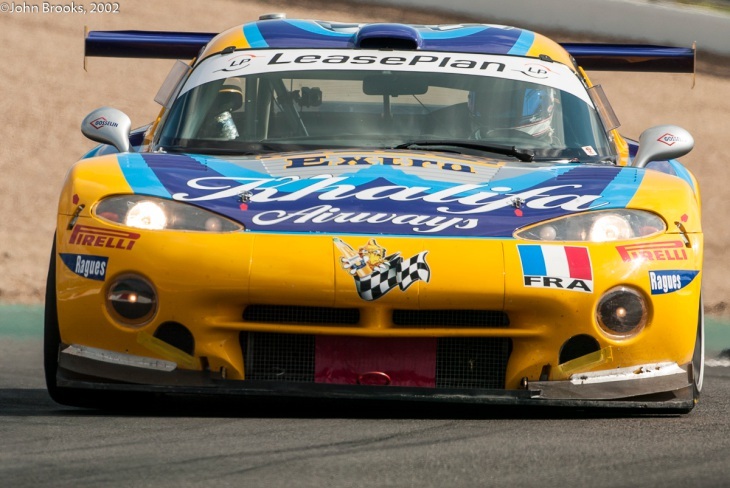 Variously badged in a bewildering number of road going and racing iterations as a Dodge, Chrysler or SRT, the Viper has been a part of the racing scene for well over two decades, from Le Mans in 1994, to Petit Le Mans in 2016. 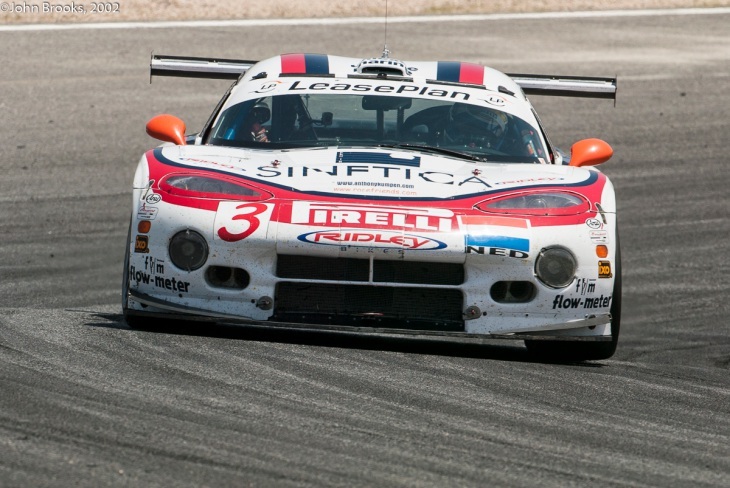 In GT1, GT2, GTE, GTLM, GT3 and several other guises the wailing V10 (and in certain instances V8!) Viper has taken the fight to the rest, emerged with some sizeable successes, and now powers off into history with (snake) head held high. 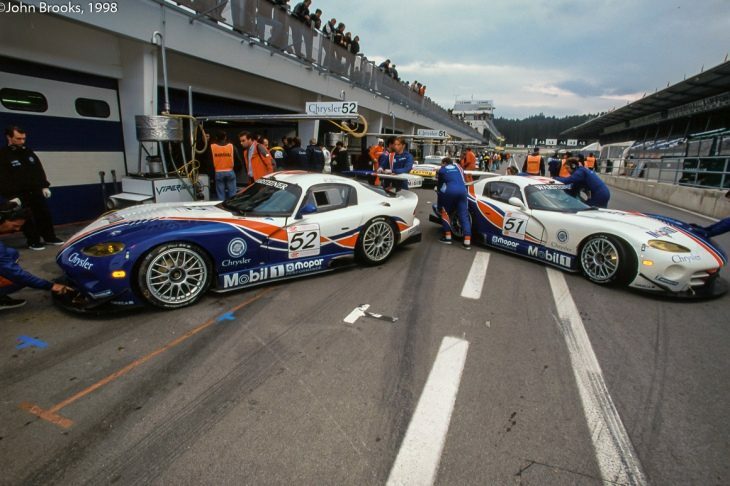 Covering the past 22 years comprehensively would lead to a tome of epic proportions. So we’ll concentrate on some highlights, touching base with most of the major development along the way. 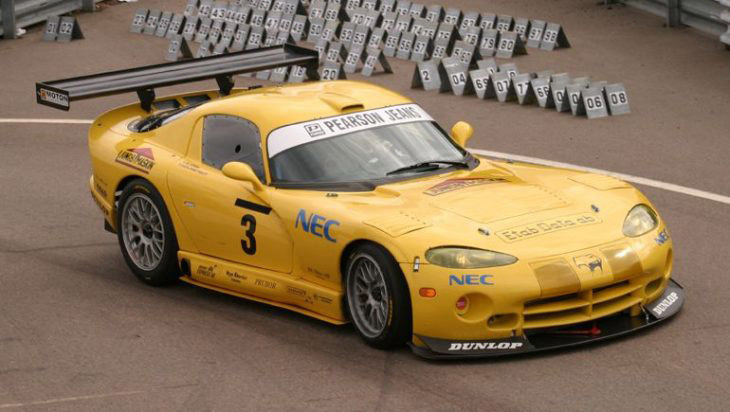 That’s not to say by the way that we won’t see Vipers racing for some tome to come though, we will, particularly the production based cars. 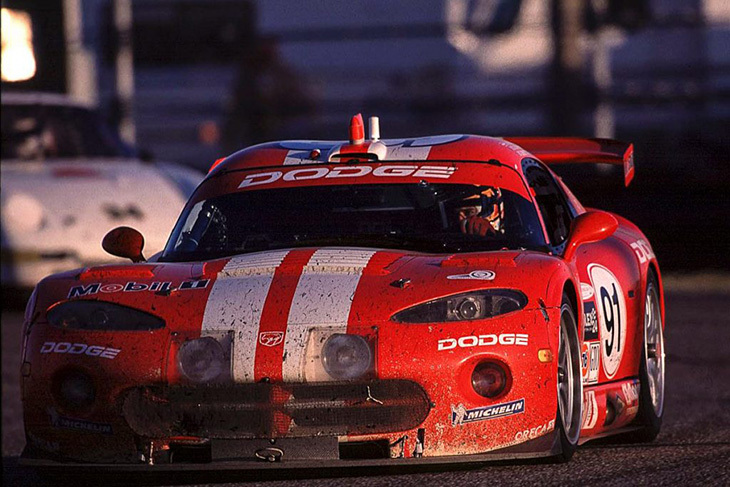 Just a couple of seasons ago Gary Horrocks and I spent a happy half hour at Miller Motorsports Park (as it was then called) chatting to the very lovely Cindy Lux, the remarkably rapid lady still campaigning her 2000 vintage Viper Competition Coupe, chassis 001, and still taking scalps in national racing at a high level against supposedly rather more contemporary (and certainly pricier) GT machinery from elsewhere around the planet! 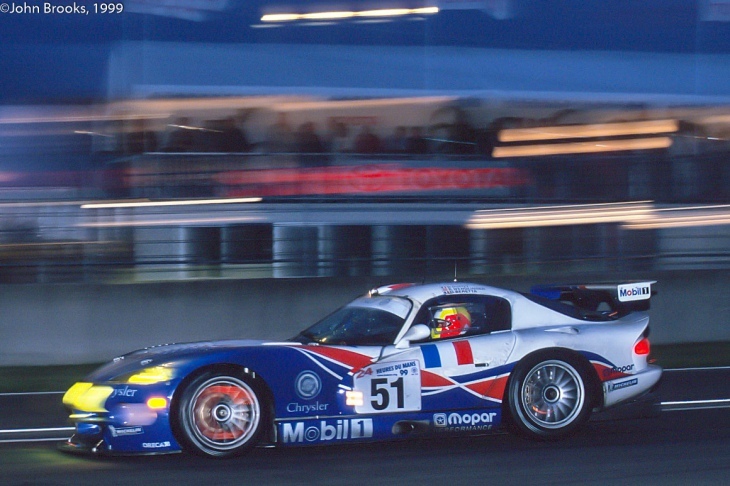 It wasn’t too long after the arrival on the scene of the road going Viper (in 1992) that motorsport took notice. 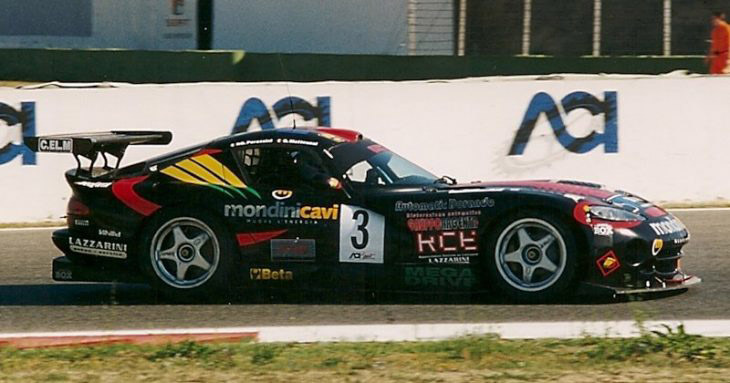 The appeal of the (Lamborghini designed) 8 litre V10 for motorsport was obvious, low revving, understressed, power to give away and in 1994 a pair of race prepped RT/10s appeared for the first time at the Le Mans 24 Hours in the hands of the French based Viper Racing Team, the luridly coloured pair sponsored by Rent-A Car. 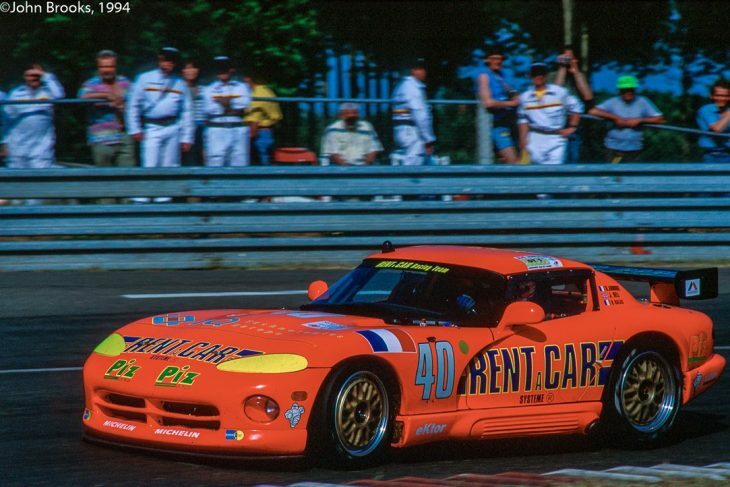 Both cars would hit trouble, but one (the orange #40 car of Rene Arnoux, Justin Bell and Bertrand Balas) would survive to finish 12th overall and score a podium in the GT1 class, miles behind the dominant Dauer Porsches, one of which won overall (and which in any case were hardly production based GT cars! 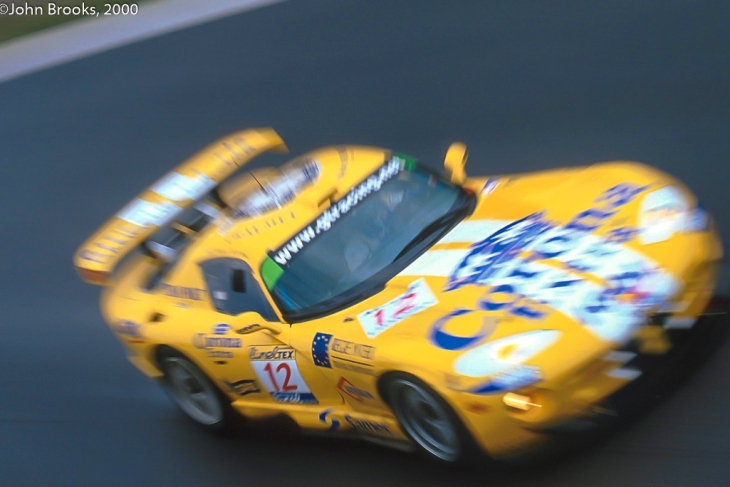 ), but it was a start, and the big American car had captured the imagination too! 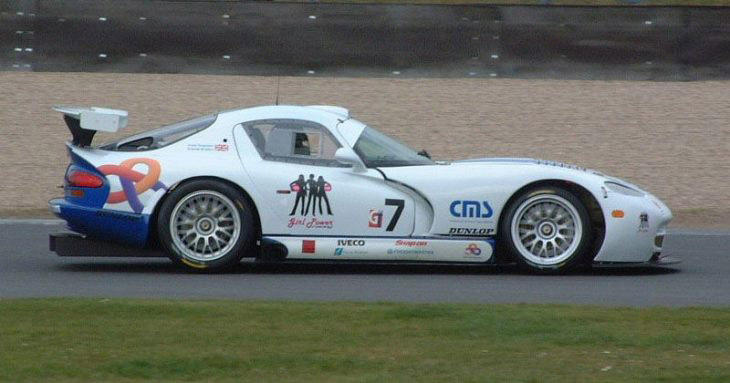 The next major development came the following year as Chrysler turned to European racing expertise to help develop a much more focused racing development of the second iteration of the Viper-Oreca in France, and Reynard in the UK combined to produce the Viper GTS-R, variously badged and entered as a Chrysler and Dodge, depending on the brand’s visibility in the markets where the cars were campaigned. 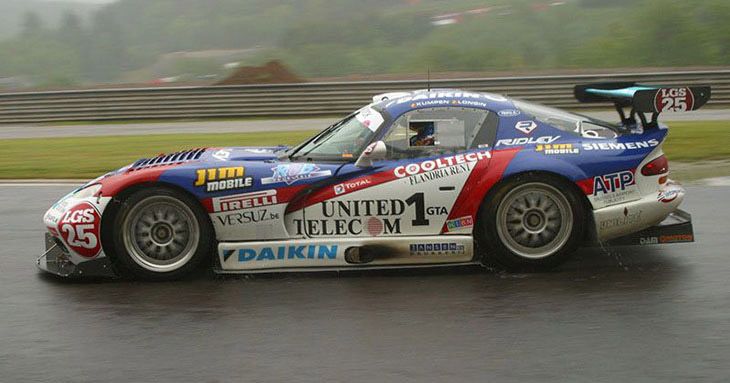 The GTS-R was a remarkably successful, and remarkably long-lasting product with over 50 cars built, arguably it helped to save and sustain GT racing in Europe after the manufacturer-fed GT1 technology and cost explosion shockwaves died down at the end of the last century, providing the mainstay of entries in the FIA GT Championship (where it had already proven to have class winning form) a sizeable target for the rest to shoot at, for years, and thereafter sustaining national GT racing in several European Championships for half a decade. 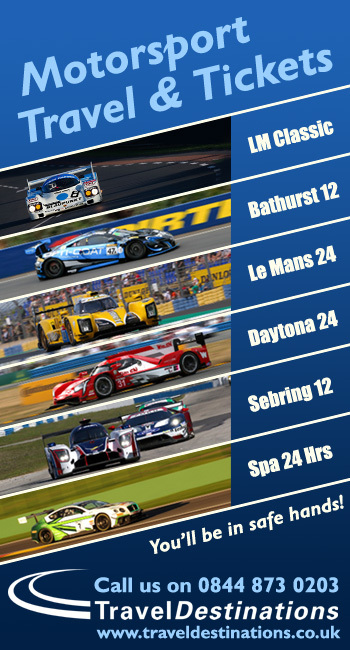 Well here is a table of just some of the highlights of the car’s career in factory, factory-blessed and private hands, to be clear this is the GTS-R only, not any of the other racing derivatives! 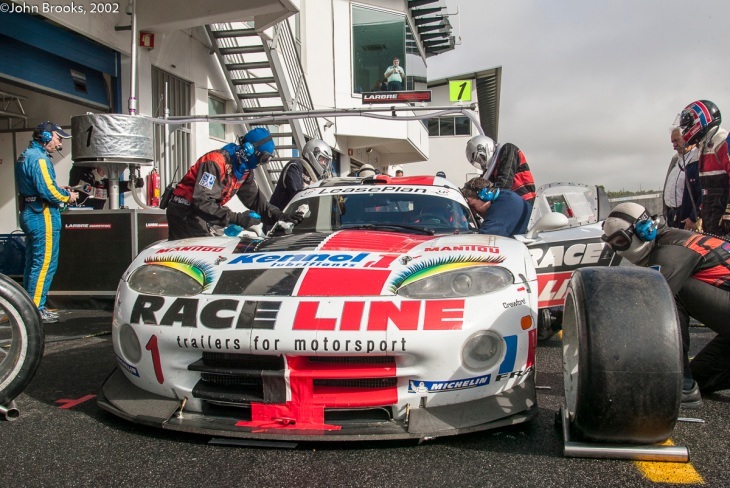 Overall wins in the 24 Hour classics at Spa (the first GT car to score overall wins in the race’s all GT era), The Nurburgring and, famously, Daytona. 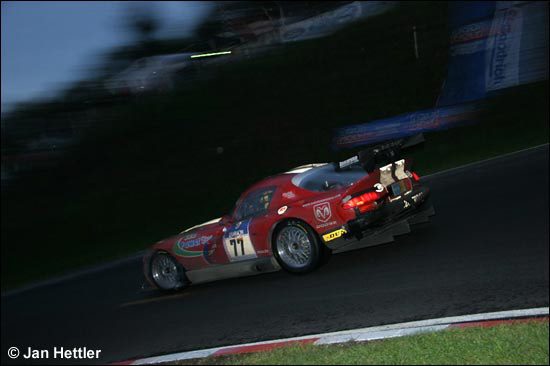 Plus class wins at le Mans and Championship wins aound the world too including the FIA GT Championship and ALMS. 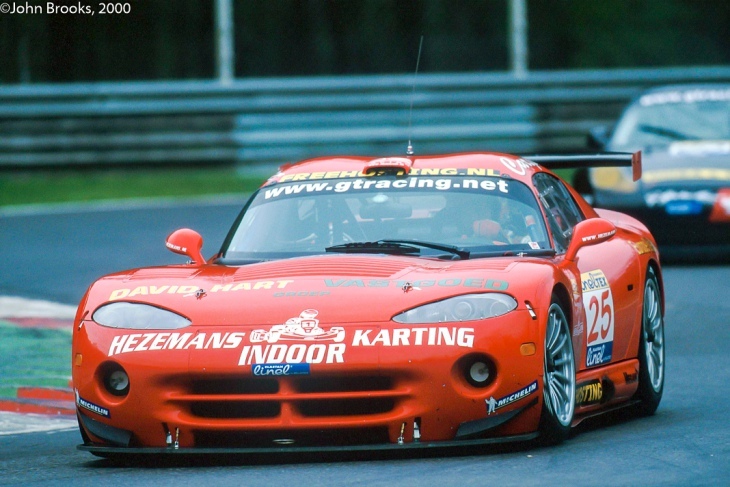 FIA GT Championship – Viper Team Oreca 1997, 1998, 1999 (above), 2001, 2002 (above) Larbre Competition. 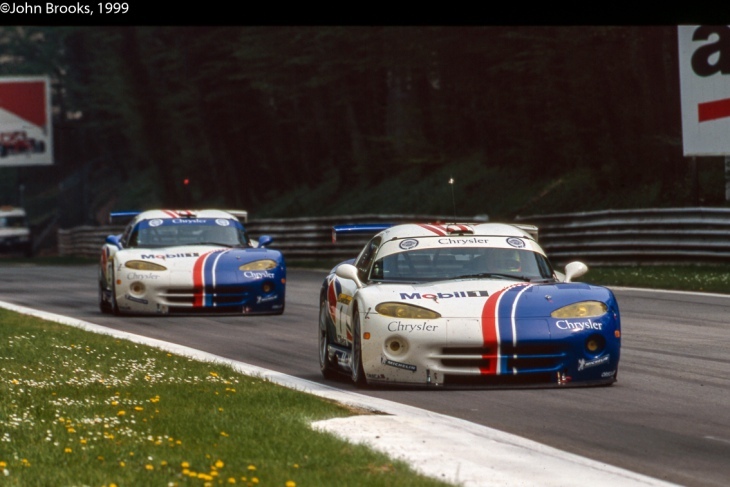 Throughout this period the era of the GTS-R was defined not only by high profile factory-funded success, but by a large number of customer efforts in almost all markets, the Viper appearing in a wide range of colours and with a wide range of talent aboard. 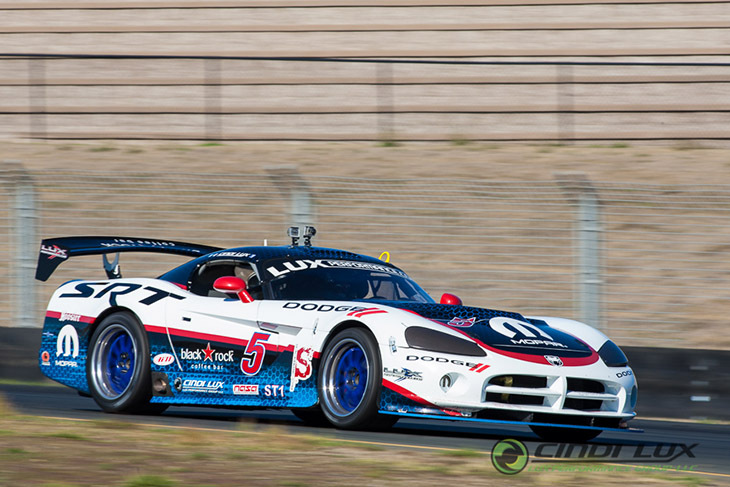 It’s worth adding here that it was a Viper GTS-R that gave this writer their first introduction to the experience of being piloted by a ‘proper’ racing driver in a ‘proper’ race car – and it was an eye opener. 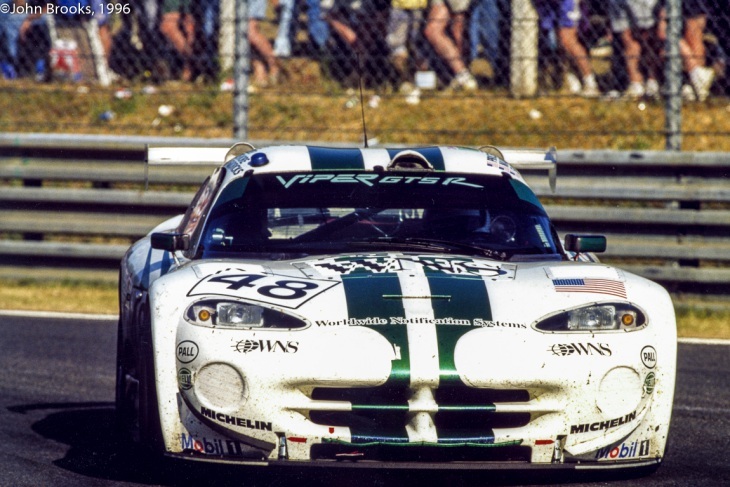 From the outside the Viper looked like a big old beast, unwieldly, and a bit of a handful. 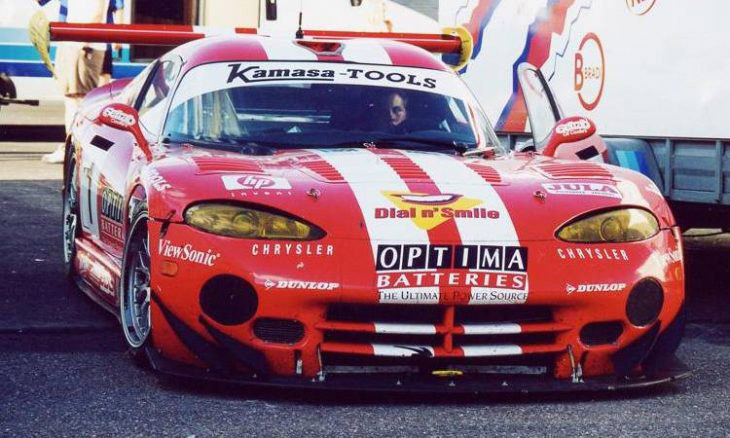 After being strapped into the CMS Racing car at the British GT Media day, and after a whoopsie when the car ran out of fuel oil the out-lap!, it proceeded, in the hands of ex F3000 racer Stephen Watson, to demonstrate just how deceptive appearances can be! 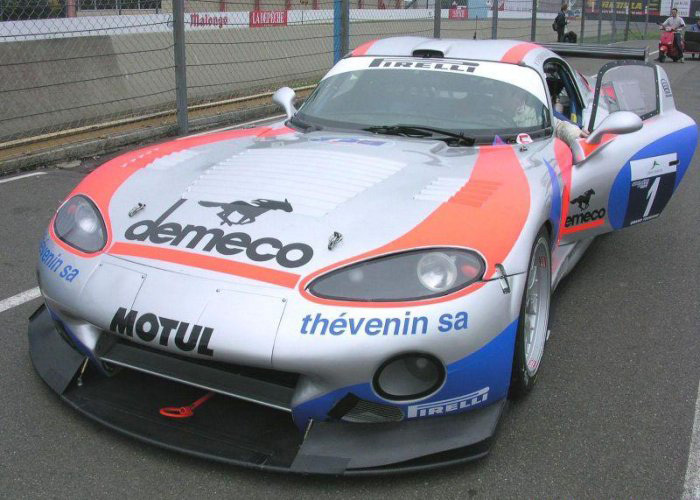 Stunningly fast, amazing handling. It provided an early education that has lived with me ever since!